➦In 1911...singing cowboy Roy Rogers was born Leonard Slye in Cincinnati. He starred in 85 Republic Pictures westerns, and headed up his own adventure show on radio beginning in 1944. 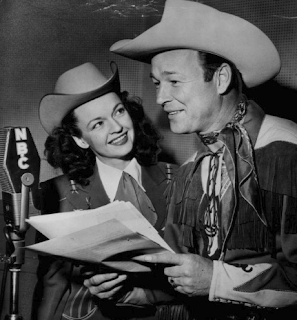 The Roy Rogers Show moved to TV in 1957, and wife Dale Evans was added to the title in 1962. He died July 6, 1998 of congestive heart failure at age 86. 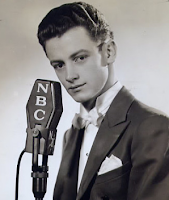 ➦In 1948...Jack Sterling starts at WCBS 880 AM. Sterling, a six-footer with a trim mustache and contagious laugh, described his style this way: "It isn't pleasant for most people to get up early in the morning, so we use the undersell, quiet approach." Sterling died November 1, 1990 at his home in Stuart, Fla. He was 75 years old. 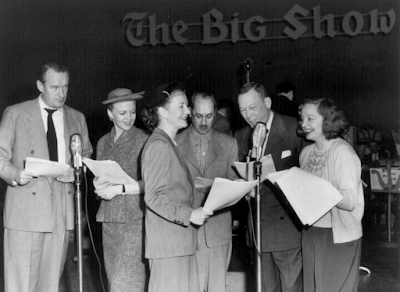 ➦In 1950...a 90-minute radio spectacular to battle the TV onslaught, The Big Show was launched by NBC Radio. “The greatest stars of our time on one big program” was the introduction by hostess/actress Tallulah Bankhead. It was a big show all right. The peacock saw red as losses exceeded a million dollars in the three years the program was on the air. ➦In 1988...The Beach Boys set two records with their latest #1 hit, "Kokomo," which marks the group as having the longest gap between chart-toppers (21 years and ten months from 1966's "Good Vibrations") and the longest stretch of career #1s (dating back to their first, "I Get Around," 24 years and four months earlier). ➦In 2003...singer Bobby Hatfield of the Righteous Brothers, was found dead in a hotel room in Kalamazoo, Michigan, just 45 minutes before the duo was to perform. Hatfield was 63. Cause of death .. an accidental cocaine-induced thrombotic heart attack. ➦In 2011…Veteran radio personality (WEEP-Pittsburgh, WIND-Chicago, WJAS-Pittsburgh, KQV-Pittsburgh, KDKA-Pittsburgh) Perry Marshall died of a heart ailment at 86. ➦In 2014…TV broadcaster (KNSD, KFMB) Larry Hammil, who variously reported features, weather, and sports on San Diego television for 35 years, died of cancer at age 68. Most of the United States has basked in an extra hour of daylight since the spring. But that's coming to an end. 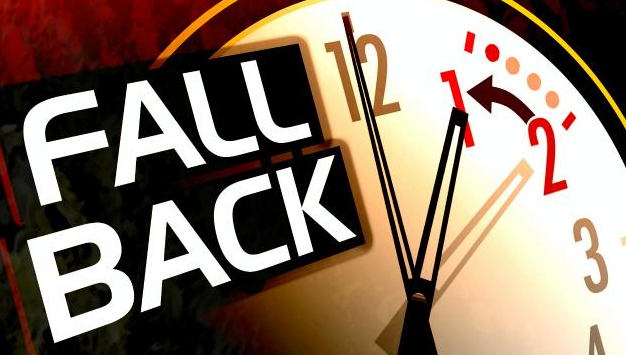 On Nov. 5, most Americans will set their clocks back an hour, as daylight saving time comes to an end for the year. These spring and fall clock changes continue a long tradition started by Benjamin Franklin to conserve energy. According to LiveScience, Benjamin Franklin takes the honor (or the blame, depending on your view of the time changes) for coming up with the idea to reset clocks in the summer months as a way to conserve energy, according to David Prerau, author of "Seize the Daylight: The Curious and Contentious Story of Daylight Saving Time" (Thunder's Mouth Press, 2005). By moving clocks forward, people could take advantage of the extra evening daylight rather than wasting energy on lighting. 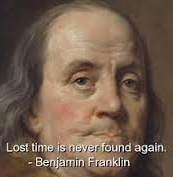 At the time, Franklin was ambassador to Paris and so wrote a witty letter to the Journal of Paris in 1784, rejoicing over his "discovery" that the sun provides light as soon as it rises. Though President Woodrow Wilson wanted to keep daylight saving time after WWI ended, the country was mostly rural at the time and farmers objected, partly because it would mean they lost an hour of morning light. (It's a myth that DST was instituted to help farmers.) And so daylight saving time was abolished until the next war brought it back into vogue. At the start of WWII, on Feb. 9, 1942, President Franklin Roosevelt re-established daylight saving time year-round, calling it "War Time." After the war, a free-for-all system in which U.S. states and towns were given the choice of whether or not to observe DST led to chaos. And in 1966, to tame such "Wild West" mayhem, Congress enacted the Uniform Time Act. That federal law meant that any state observing DST — and they didn't have to jump on the DST bandwagon — had to follow a uniform protocol throughout the state in which daylight saving time would begin on the first Sunday of April and end on the last Sunday of October. Fewer than 40 percent of the world's countries observe daylight saving time, according to timeanddate.com. However, those that do are taking advantage of the natural daylight in the evenings. Entercom San Francisco announced Friday the appointment of Matt Nahigian as Program Director for KGMZ, 95.7 FM The Game. In this role, Nahigian will have oversight over the sports radio station’s strategy, talent, over-the-air programming and digital content. Matt Nahigian brings over 23 years of experience in radio to the Entercom team in San Francisco. His first day will be on November 8, 2017. Nahigian was most recently the Program Director at WPEN 97.5 The Fanatic in Philadelphia for over ten years. 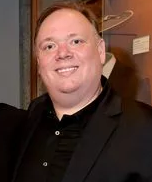 During that time, he helped the station transition from AM 950 to 97.5 FM and obtained the rights to the Philadelphia 76ers and Philadelphia Flyers, partnered with ESPN in addition to bringing top-rated talent to the station. He began his career at 1 on 1 Sports based out of Chicago. CBS RADIO Chicago has appointed Brian Peck to host middays at WJMK 104.3 K-Hits. Beginning Monday, November 6, Peck will be heard weekdays from 10 AM to 2:30 PM. 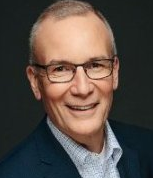 Current Midday personality Jeffrey T. Mason will move to the new afternoon drive slot of 2:30 PM-7 PM following the departure of six-year host Gary Spears who relocated to Florida. 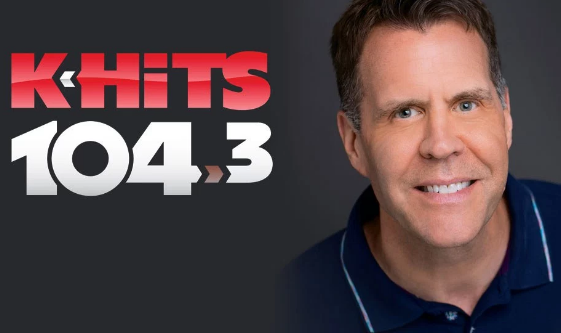 Peck joins K-Hits with a history of entertaining Chicago radio fans since 1992 when he co-hosted mornings with former MTV veejay, Mark Goodman. 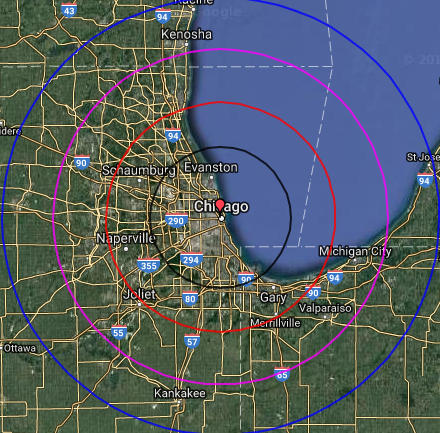 Other Chicago radio stops have included WSHE and WTMX. NPR’s employees unleashed their fury at the organization’s top executive on Friday over his handling of a sexual harassment scandal that appears to have spread, reports The Washington Post. 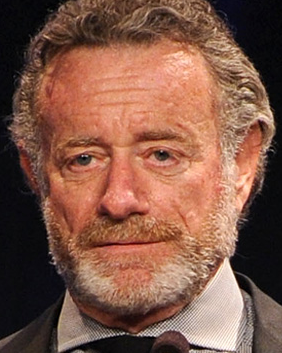 At a packed staff meeting at NPR’s headquarters in Washington, they criticized chief executive Jarl Mohn, who kept top editor Michael Oreskes on the job for months despite knowing about three harassment complaints against Oreskes. 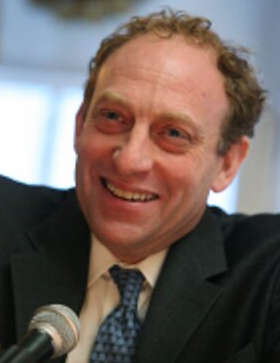 Mohn forced Oreskes to resign this week after The Washington Post reported on the accusations that date back to the editor’s tenure at the New York Times in the late 1990s. Since then, the scandal appears to have metastasized. Five women at NPR have filed formal harassment complaints against Oreskes, bringing the number who have accused him of misconduct to eight, according to Mohn and people familiar with the allegations. The new claims cover Oreskes’s tenure at NPR over the past three years. Mohn has repeatedly admitted since the story broke on Tuesday that his response to earlier allegations about Oreskes was inadequate. During Friday’s meeting, he was on the defensive as employees took turns blistering him for moving too slowly to address what appears to have been a widely discussed problem within the organization’s newsroom. The speakers included some of NPR’s most renowned and veteran journalists, including Susan Stamberg, Cokie Roberts and Nina Totenberg. According to attendees, Mohn said he and the network's chief counsel, Jonathan Hart, sat down with Oreskes last month to discuss the two older allegations from his tenure at The New York Times. 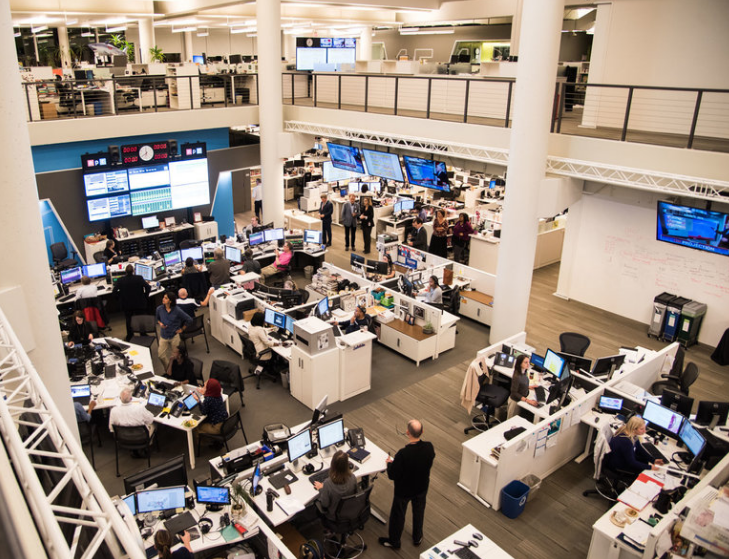 Because many of the internal warnings centered around rumor, rather than specific incidents, NPR's leadership did not feel it could act more severely, Mohn said. It had no concrete proof he had overstepped the boundaries articulated after the rebuke stemming from the internal complaint filed in October 2015. In that way, Mohn said, he hewed too closely to legal guidelines and did not adequately take into account the human repercussions. "Our intention was honorable," Mohn said. "The execution was poor. It didn't work." According to an NPR story, Mohn pledged to work to rebuild the trust of his employees, and asked for their aid in repairing its culture. The Country Music Association Friday lifted its controversial restrictions on the media at next week's CMA Awards, following widespread criticism. according to The Tennessean. Following reports that Netflix may kill off Kevin Spacey's character on "House of Cards," the streaming service announced Friday that it is severing ties with the actor. 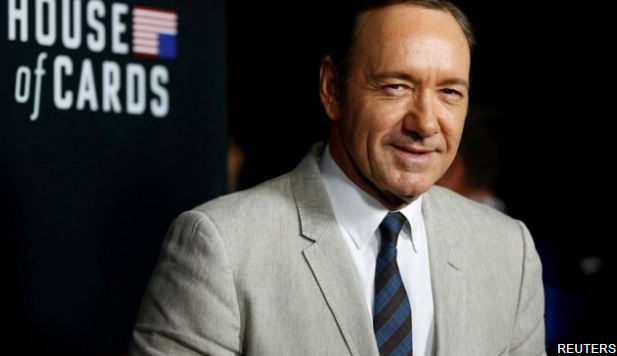 According to Fox News, the move is being prompted by multiple sexual assault allegations against Spacey, who stars as Frank Underwood on the series about political intrigue in Washington, D.C.
Also scrapped was a Gore Vidal biopic that Spacey was reportedly developing with Netflix. Production on the show was suspended Tuesday, two days after actor Anthony Rapp accused Spacey of assaulting him when he was 14 years old and Spacey was 24. Consequently, Spacey was dropped by his agency and publicist Thursday. Then on Friday, Britain's Scotland Yard open an investigation after a male actor claimed he was sexually assaulted by Spacey in London. Allegations against the actor continued to mount as eight crew members reportedly came forward with assertions about sexual harassment and groping on the set of the streaming drama. CNN reported Thursday that eight people close to the production, which shoots just outside of Baltimore, have come forward with allegations of sexual misconduct from Spacey that allegedly made working on the set a nightmare. 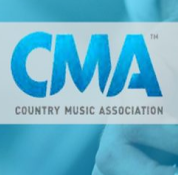 Three former employees and an intern who worked for prominent country music industry executive Kirt Webster have stepped forward with additional claims of sexual harassment or abuse while serving at his public relations firm in Naashville. That brings to 17 the number of individuals at Webster PR who have recounted to The Tennessean a toxic mix of workplace abuse and sexual harassment at one of Nashville's preeminent public relations firms, where many industry hopefuls took jobs to advance music careers only to be fired or quit a short time later. The four people cited a fear of Webster's influence and being shunned by the music industry in their request for anonymity. The Tennessean independently confirmed their employment at the firm. 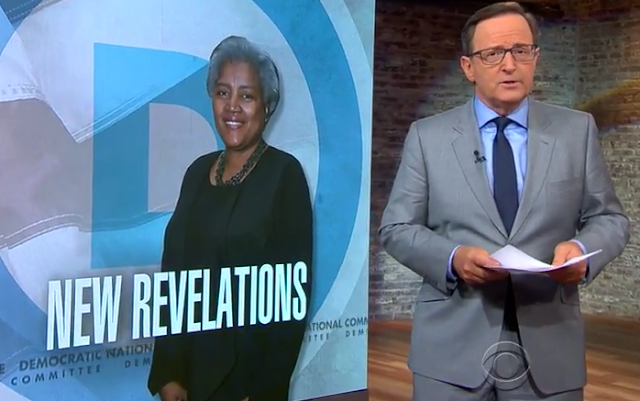 It took sometime, more than 24-hours, for the broadcast networks evening newscasts to finally cover bombsell revelations by former Democratic National Committee interim Chairwoman Donna Brazile. "ABC's World News Tonight," "NBC Nightly News" and "CBS Evening News" all didn't report the allegations by Brazile on Thursday evening despite it receiving considerable coverage on cable news and in print and online media. Brazile was also trending as one of Twitter's top topics on Thursday. They finally made time on Friday. Jeff Zucker, a veteran television executive who once warned that the TV business couldn’t afford to trade “analog dollars for digital pennies,” is now embracing online publishing as central to CNN’s model, reports The Wall Street Journal. After investing in digital “verticals,” or distinct web brands, focused on business and politics and acquiring an online-video startup, CNN is gearing up for another big step: the launch of tiered subscription offerings for its digital news business as early as the second quarter of next year. 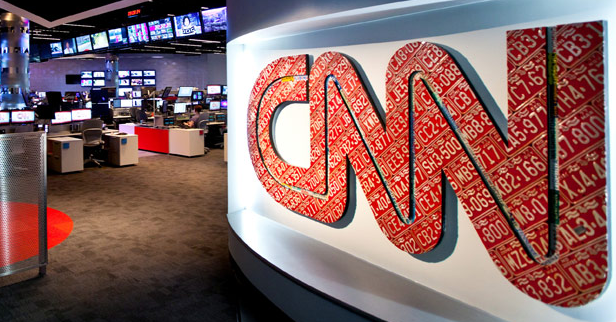 A proposed premium offering will give subscribers access to special content on topic-specific verticals, such as CNN Money and CNN Politics, built around network personalities. A second option will provide additional, though less specialized, content across all of CNN’s sites. Pricing hasn’t been finalized. 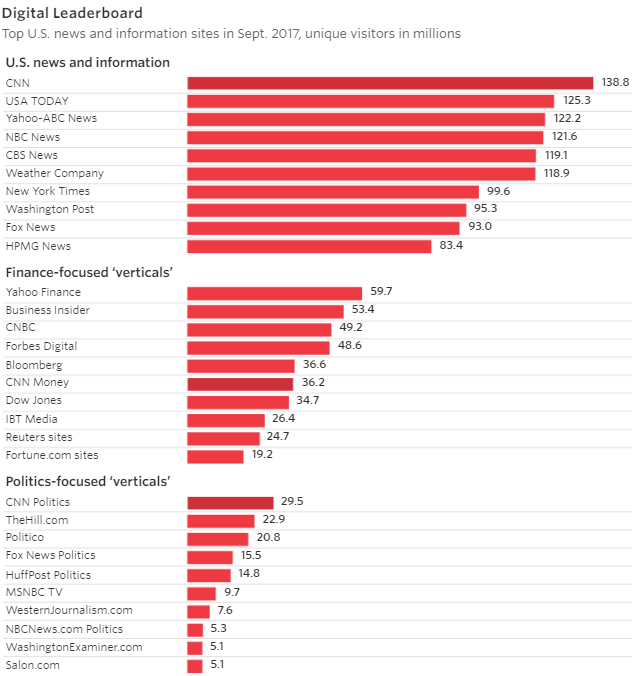 CNN Digital currently makes most of its money on ads that run before videos. Convincing users to pay for news won’t be easy. Even more challenging will be making headway in the already cutthroat online-ad business, which is dominated by Facebook Inc. and Alphabet Inc.’s Google. A columnist is apologizing after writing an "insensitive" description of White House Press Secretary Sarah Huckabee Sanders. 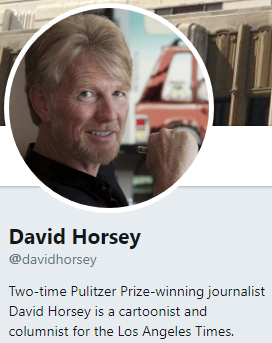 According to The Hill, Los Angeles Times columnist David Horsey said that critiquing Sanders' physical appearance was "insensitive" and doesn't meet the standards set by the newspaper. "I want to apologize to Times readers — and to Sarah Huckabee Sanders — for a description that was insensitive and failed to meet the standards of our newspaper," Horsey wrote in a letter attached to the revised column. The column was edited to remove the offensive description on Friday. An original version of the column claimed that Sanders "does not look like the kind of woman" President Trump would choose for his press secretary. "By comparison, Sanders looks more like a slightly chunky soccer mom who organizes snacks for the kids' games," Horsey wrote. "Rather than the fake eyelashes and formal dresses she puts on for news briefings, Sanders seems as if she'd be more comfortable in sweats and running shoes." “Yet, even if Trump privately wishes he had a supermodel for a press secretary, he is lucky to have Sanders,” Horsey wrote in his original column. Political commentators on Twitter quickly defended Sanders and sharply criticized the paper. "Find me anything written about Sean Spicer, Josh Earnest or Jay Carney that begins with two paragraphs about his appearance and body shape," wrote USA Today's Steve Reilly. The newspaper apologized for the description in a short editor's note now attached to the article. In response to a Los Angeles Times series about the relationship between the Walt Disney Co. and the city of Anaheim that Disney claims is “biased and inaccurate,” the company is barring the paper from advance screenings of its films and access to its talent. The paper ran a two-part series in late September looking into what it characterized as a complicated and increasingly tense relationship between the city and the Disneyland Resort. The Times says it will review and cover Disney films when they become available to the public. “Despite our sharing numerous indisputable facts with the reporter, several editors, and the publisher over many months, the Times moved forward with a biased and inaccurate series, wholly driven by a political agenda,” the statement continued. The longtime voice of football and hockey in St. Louis radio fell silent Thursday when Bill Wilkerson died. He was 72-years-of-age, according to the Belleville News-Democrat. 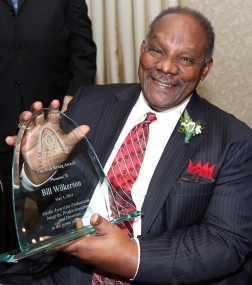 Wilkerson joined KMOX 1120 AM in 1969 as a morning-drive host, but because best known as the play-by-play announcer for St. Louis Cardinals football from 1973 to 1987, when the team left for Phoenix. He also announced Mizzou football from 1976 to 1993, and partnered with Bob Costas on Spirits of St. Louis basketball games in the mid-1970s. Other broadcast partners included the late Jack Buck, Dan Dierdorf, Mike Shannon and Wendy Wiese. In 1996, Wilkerson moved from KMOX to KTRS, working there off and on until 2006 to form a private company. ➦In 1916...David Sarnoff proposes "radio music box" for radio reception. "I have in mind a plan of development which would make radio a 'household utility' in the same sense as the piano or phonograph. The idea is to bring music into the house by wireless. "While this has been tried in the past by wires, it has been a failure because wires do not lend themselves to this scheme. With radio, however, it would seem to be entirely feasible. For example--a radio telephone transmitter having a range of say 25 to 50 miles can be installed at a fixed point where instrumental or vocal music or both are produced. The problem of transmitting music has already been solved in principle and therefore all the receivers attuned to the transmitting wave length should be capable of receiving such music. 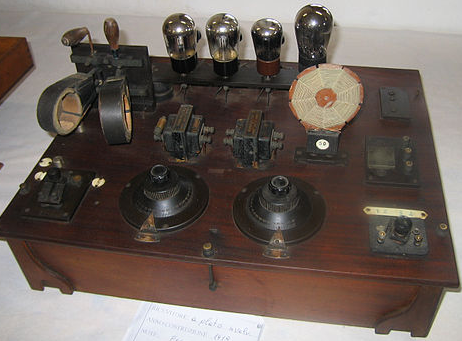 The receiver can be designed in the form of a simple 'Radio Music Box' and arranged for several different wave lengths, which should be changeable with the throwing of a single switch or pressing of a single button. "The 'Radio Music Box' can be supplied with amplifying tubes and a loudspeaking telephone, all of which can be neatly mounted in one box. The box can be placed on a table in the parlor or living room, the switch set accordingly and the transmitted music received. There should be no difficulty in receiving music perfectly when transmitted within a radius of 25 to 50 miles. Within such a radius there reside hundreds of thousands of families; and as all can simultaneously receive from a single transmitter, there would be no question of obtaining sufficiently loud signals to make the performance enjoyable. The power of the transmitter can be made 5 k.w., if necessary, to cover even a short radius of 25 to 50 miles; thereby giving extra loud signals in the home if desired. The use of head telephones would be obviated by this method. The development of a small loop antenna to go with each 'Radio Music Box' would likewise solve the antennae problem. 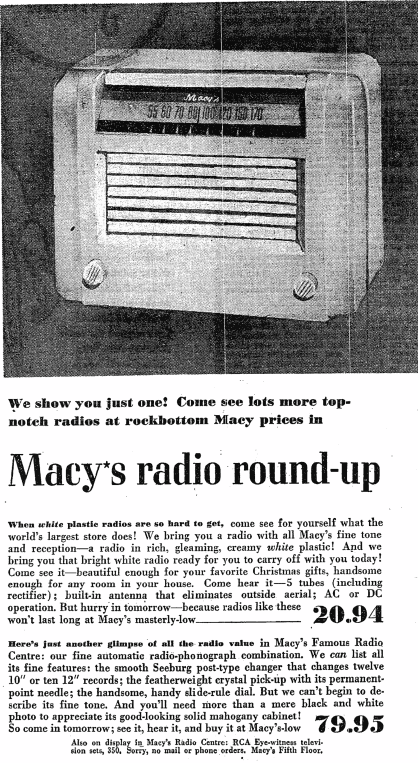 "The manufacture of the 'Radio Music Box' including antenna, in large quantities, would make possible their sale at a moderate figure of perhaps $75.00 per outfit. The main revenue to be derived will be from the sale of 'Radio Music Boxes' which if manufactured in quantities of one hundred thousand or so could yield a handsome profit when sold at the price mentioned above. Secondary sources of revenue would be from the sale of transmitters and from increased advertising and circulation of the Wireless Age. The Company would have to undertake the arrangements, I am sure, for music recitals, lectures, etc., which arrangements can be satisfactorily worked out. It is not possible to estimate the total amount of business obtainable with this plan until it has been developed and actually tried out but there are about 15,000,000 families in the United States alone and if only one million or 7% of the total families thought well of the idea it would, at the figure mentioned, mean a gross business of about $75,000,000 which should yield considerable revenue. "Aside from the profit to be derived from this proposition the possibilities for advertising for the Company are tremendous; for its name would ultimately be brought into the household and wireless would receive national and universal attention." 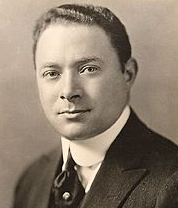 Sarnoff eventually ruled over an ever-growing telecommunications and consumer electronics empire that included both RCA and NBC, and became one of the largest companies in the world. Named a Reserve Brigadier General of the Signal Corps in 1945, Sarnoff thereafter was widely known as "The General." ➦In 1916...Journalist and longtime CBS Evening News anchorman Walter Cronkite, once called "the most trusted man in America," was born on this day in 1916. He dropped out of college in his junior year, in the fall term of 1935, after starting a series of newspaper reporting jobs covering news and sports. He entered broadcasting as a radio announcer for WKY in Oklahoma City, Oklahoma. In 1936, he met his future wife, Mary Elizabeth Maxwell (known by her nickname "Betsy"), while working as the sports announcer for KCMO (AM) in Kansas City, Missouri. His broadcast name was "Walter Wilcox". In Kansas City, he joined the United Press in 1937. He became one of the top American reporters in World War II, covering battles in North Africa and Europe, and in 1943 turned down a job offer from Edward R. Murrow of CBS to relieve Bill Downs in Moscow. 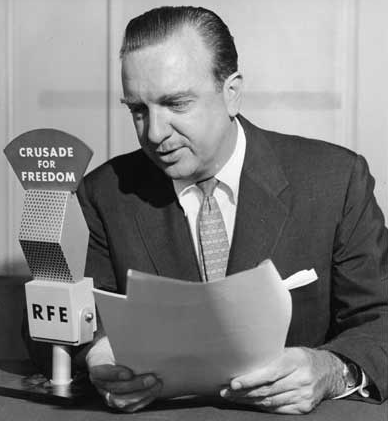 Cronkite was one of eight journalists selected by the United States Army Air Forces to fly bombing raids over Germany in a B-17 Flying Fortress part of group called the Writing 69th, and during a mission fired a machine gun at a German fighter. He also landed in a glider with the 101st Airborne in Operation Market Garden and covered the Battle of the Bulge. He died on July 17, 2009 at 92. ➦In 1918...actor Art Carney was born in Mount Vernon NY. He was a busy member of the New York radio actor’s pool, in shows such as Gangbusters, Casey Crime Photographer, and the Henry Morgan Show. He also specialized in impressions like FDR and General Dwight Eisenhower. The zenith of his career was on TV playing Ed Norton on Jackie Gleason’s ‘Honeymooners.’ Gleason once said Carney was 90% responsible for its success. He died Nov. 9, 2003, at age 85. ➦In 1949…The popular radio soap opera "One Man's Family" began a 2½-year run as a weekly primetime television show and featured future stars Eva Marie Saint, Tony Randall and Mercedes McCambridge. 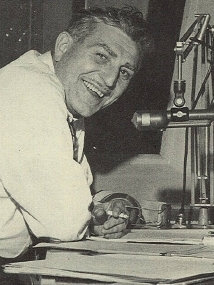 "One Man's Family" was the longest-running uninterrupted serial in the history of American radio. 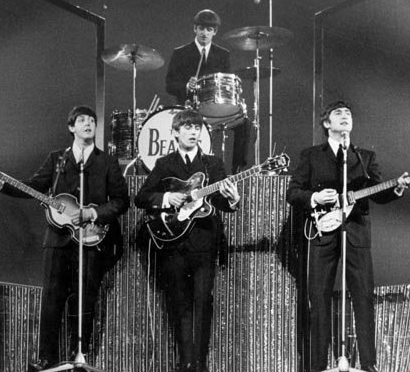 ➦In 1963...The Beatles performed for Queen Elizabeth II, the Queen Mother, Princess Margaret and Lord Snowdon at the Royal Variety Performance in London. It was here that John Lennon famously said "Will the people in the cheaper seats clap your hands. All the rest of you, rattle your jewelry." One theory for the change was that the format pull audience away from WABC and WMCA so the winner would then be sister station WOR 710 AM. It had a talk format so would appear better in the ratings if Top 40 competitors WABC 770 AM and WMCA 570 AM lost audience. 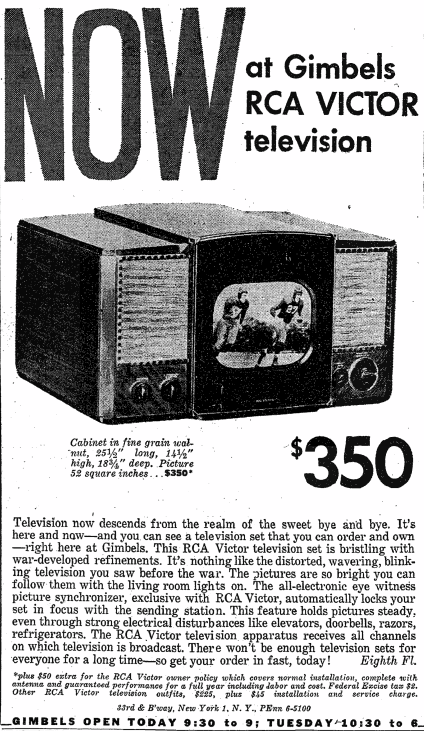 The progressive WOR-FM had created its own audience rather than luring them away from WABC and WMCA. That didn’t help WOR-AM. In 1967 the big advertising dollars came from AM stations so if FM could help AM by stealing a few listeners from the competition, it was worth a try. Or so management thought. The other reason, according to the tribute website, musicradio77.com, was that Bill Drake was now the boss and he simply didn’t have any use for progressive rock radio. He had developed a rapidly growing format for KHJ 930 AM in L-A and KFRC 610 AM in San Francisco and wanted to program it in New York. ➦In 2004..Gary Wergin died. Wergin worked for WHO-AM, Iowa and was the "voice of farming" for 10 years on "The Big Show". ➦In 2012…ESPN Radio's NBA play-by-play voice Jim Durham, who previously had called Chicago Bulls games for 18 years and had stints as a play-by-play announcer for the Dallas Mavericks, Houston Astros, and Chicago White Sox, died at the age of 65. 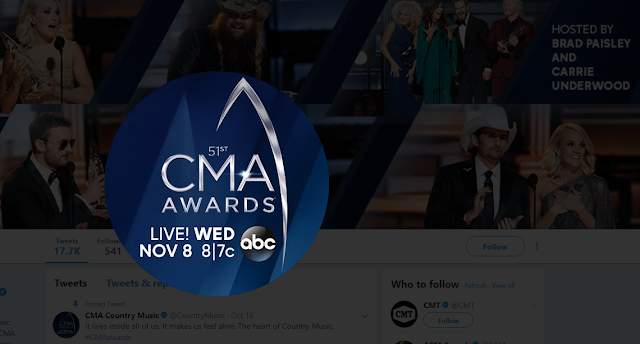 UPDATE 11/3/17 12:45 PM: Brad Paisley, co-host of the Country Music Association Awards, is calling on the organization to rescind media restrictions barring reporters from asking about the mass shooting in Las Vegas, gun rights or political affiliations at the awards show. The Country Music Association is warning media outlets to avoid questions about a recent mass shooting in Las Vegas, gun rights or political affiliations at their annual awards show next week or risk losing credentials., according to The Associated Press. At a media preview Thursday in New York City with hosts Carrie Underwood and Braid Paisley, The Associated Press asked the performers about the Vegas shooting. The stars said they want to honor the victims’ families during the show. Last year, the hosts made jokes about then-presidential candidates Donald Trump and Hillary Clinton, although the political jokes were much gentler than other award shows. The broadcast evening newscasts on three major networks on Thursday didn't mention bombshell revelations by former Democratic National Committee interim Chairwoman Donna Brazile, according to The Hill. In excerpts released to Politico Thursday, Brazile writes in her new book, "Hacks: The Inside Story of the Break-ins and Breakdowns that Put Donald Trump in the White House," that it “broke [her] heart” upon discovering evidence that she said showed the Clinton campaign "rigged" the Democratic nomination system. The 2017 World Series was a blast, both literally and figuratively, and while Game 7 was something of an anticlimax in light of all the drama that preceded it, the final ratings numbers exceeded all expectations, reports AdAge. 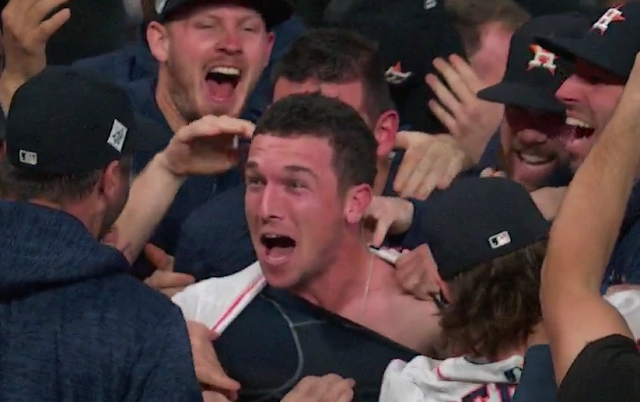 Houston's 5-1 victory Wednesday night gave the ball club its first MLB title since it entered the National League as an expansion team back in 1962. According to Nielsen live-same-day data, baseball's season finale averaged 28.2 million viewers and a 15.8 household rating, beating out two of Fox's five previous Game 7 broadcasts. In 2014, the San Francisco Giants clinched against the Kansas City Royals by a 3-2 margin in a game that averaged 23.5 million viewers and a 13.7 household rating, while 25.4 million viewers watched the St. Louis Cardinals close the books on the 2011 Fall Classic with their 6-2 victory over the Texas Rangers. That game did a 14.7 rating. At its peak, during the 10:30 p.m. EDT half-hour window, Game 7 served up 31.4 million viewers. Setting aside the Chicago Cubs's historic extra-innings triumph over Cleveland in last year's World Series, which scared up a whopping 40 million viewers, Wednesday night's game was Fox's most-watched MLB broadcast since the Red Sox swept the Cardinals in the fourth frame of the 2004 World Series. That game averaged 28.8 million viewers. Game 7 now stands as the most-watched TV broadcast of the young 2017-18 season, edging Fox's Sept. 17 presentation of a Cowboys-Broncos NFL game that delivered 26 million viewers and a 14.3 household rating. That showdown did, however, edge the older-skewing World Series capper in the ad demo, drawing an 8.5 rating, good for around 11 million adults 18 to 49. 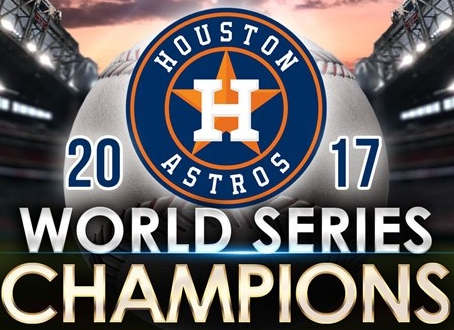 By comparison, the Astros-Dodgers finale did an 8.2 rating, which works out to 10.5 million adults 18 to 49. All told, the seven-game Astros-Dodgers set averaged 18.7 million viewers and a 5.0 in Fox's dollar demo, which translates to 6.45 million adults 18 to 49. Season-to-date, the Big Four broadcast networks are averaging a 1.5 rating, or 1.93 million adults 18 to 49, in prime time. As it happens, Game 7 was this season's youngest-skewing World Series broadcast, serving up an audience with a median age of 53 years old. The median age for the entire series was 55 years, up a smidgen from the year-ago 53.8 years and 54.6 years for the 2015 Royals-Mets set. 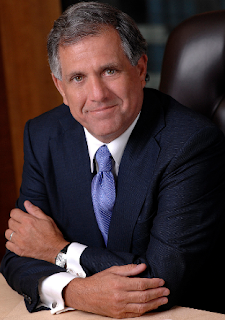 CBS Corporation Thursday reported results for the third quarter of 2017, including record third-quarter adjusted diluted earnings per share ("EPS"). "Our solid third-quarter results demonstrate the way we are shifting our business to capitalize on changing viewing habits," said Leslie Moonves, Chairman and Chief Executive Officer, CBS Corporation. "To that point, during the quarter we saw dramatic growth in our affiliate and subscription fees, including revenue from traditional and skinny bundles as well as over-the-top viewing. Today we have more subscribers at CBS and at Showtime than we did a year ago, and best of all, newer digital platforms are resulting in more revenue per subscriber than traditional ones. So not only are we growing our subs, but we are growing our rates as well. Our over-the-top services had a particularly strong third quarter, thanks to the exciting launch of Star Trek: Discovery on CBS All Access and the Floyd Mayweather/Conor McGregor pay-per-view event on Showtime. "Of course, premium content is also driving our success at the CBS Television Network, where we are once again #1 this season, with two of the top three new shows, including Young Sheldon, which premiered as the #1 show on television overall. In addition, for the first time, the majority of our upfront deals this fall are based on viewing over a seven day-period, which means that we are now beginning to monetize millions of viewers we were not getting credit for a year ago. So from our new OTT services to the monetization of delayed viewing, and from our burgeoning international business to rapid increases in retrans and reverse comp, we are just beginning to capitalize on significant growth areas for the future." Net earnings were $592 million, or $1.46 per share, compared to $478 million, or $1.07 per share a year ago. Net earnings for 3Q 2017 included a non-cash gain of $100 million to increase the value of the CBS radio stations, based on the terms of the deal selling them to Entercom. Revenues rose 3% to $3.17 billion. Advertising revenue dipped to $1.106 billion from $1.162 billion a year ago. Affiliate and subscription fees jumped 52% to $1.145 billion from $753 million, powered by Showtime’s distribution fo the Floyd Mayweather-Conor McGregor pay-per-view fight. CBS’s entertainment group, which includes the CBS Broadcast Network reported operating income of $345 million, down 1% from $348 million a year ago. Revenue slid 7% to $1.815 billion from $1.948 billion a year ago. Affiliate and subscription fees were up 35% from higher station affiliation fees and growth from CBS All Access and other streaming activities. 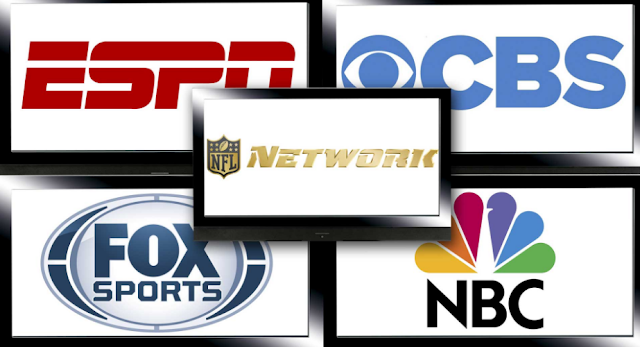 Ad revenue was down 3% partly because of broadcasting fewer Thursday Night Football game. Cable network operating income rose 3% to $294 million. Revenues rose 40% to $840 million because of the Mayweather-McGregor fight, but the fight resulted in higher costs as well. Bloomberg reports advertisers are starting to believe a different explanation: the viewers aren’t coming back. Audiences are down an average 7 percent from a year ago through the first eight weeks of the season, excluding last Monday. That’s on top of a decrease of about 8 percent last season that spurred numerous changes in the broadcasts, from shorter commercials to better matchups earlier in the year. 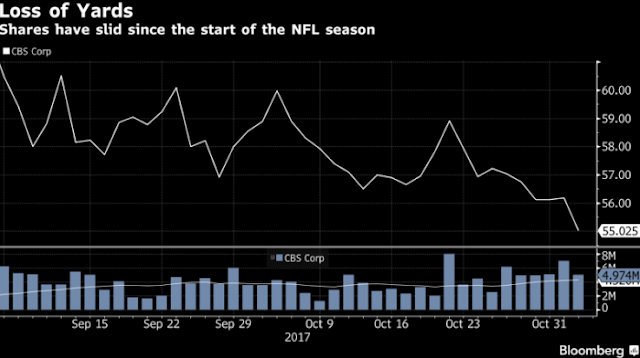 “There’s just not as many people watching TV the way they used to watch TV,” said Jeremy Carey, managing director of Optimum Sports, a sports marketing agency. Viewership is dropping fast among people under 54 -- a key demographic for advertisers -- and even faster among those 18 to 34. Audiences for games on CBS, NBC and Fox have slid at least 10 percent among that younger cohort. On Thursday, ESPN publicly released a new set of social media guidelines that deal with social and political issues. The effort was led by Kevin Merida, the former Washington Post managing editor who runs the ESPN property The Undefeated. "The most important principles have not changed," ESPN president John Skipper said in releasing the guidelines. "Most profoundly, they reflect our continued commitment to journalism and our focus on sports." According to The Hollywood Reporter, a section of the guidelines deal specifically with commentaries. ESPN employees are told: "Commentaries on relevant sports-related issues are appropriate, but we should refrain from overt partisanship or endorsement of particular candidates, politicians or political parties. ... We should offer balance or recognize opposing views, as warranted. We should avoid personal attacks and inflammatory rhetoric." While Skipper told Sports Business Daily that the guidelines were not released in response to Hill's case, Hill initially got in trouble for writing on Twitter that Donald Trump is a "white supremacist," which would likely be considered "inflammatory rhetoric" under the new guidelines. Employees that focus on "hard news" are provided a separate set of guidelines. "Writers, reporters, producers and editors directly involved in 'hard' news reporting, investigative or enterprise assignments and related coverage should refrain in any public-facing forum from taking positions on political or social issues, candidates or office holders," employees are told. In both guidelines and in Skipper's comments about the guidelines, a clear message is conveyed to staff that ESPN is strictly a sports-focused organization, though occasionally issues bubble up — like the athlete-led movement to kneel during the national anthem — that intersect with cultural and political issues. Apple Inc on Thursday reported better-than-expected earnings and offered a rosy forecast for the holiday shopping season, allaying investor concerns about production delays on the new iPhone X and demonstrating remarkable strength across its growing line of products and services. Trading Nation: Buy Apple into earnings? from CNBC. Meanwhile, more than 300 Apple iPhone X units were stolen from a UPS truck in San Francisco before the newest model was launched for sale, multiple outlets reported. The thieves, who have yet to be caught, broke into the truck while its driver had been making a delivery at the Stonestown Galleria shopping mall in San Francisco, according to CBS SF Bay Area. With the iPhone X retailing at between $999 and $1,150 in the U.S., the value of the stolen goods would have amounted to at least about $300,000. The iPhone X was launched for sale on Friday in more than 50 markets, including the U.S., China and the U.K. Thousands had formed snaking queues outside Apple stores around the world in the lead up to the launch. Bonneville International Corp. has entered into an agreement to operate four radio stations in San Francisco and four radio stations in Sacramento, California, which have been divested as part of the merger between Entercom Communications Corp. and CBS Radio Inc., company officials announced Wednesday. 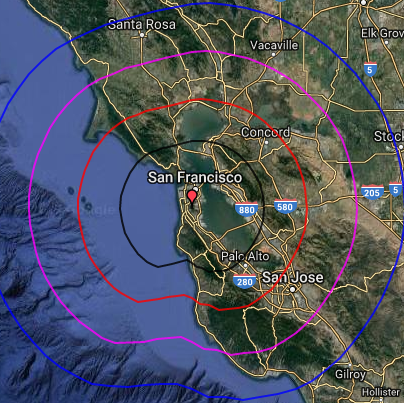 The stations Bonneville will operate in San Francisco are KOIT-FM, KMVQ-FM, KBLX-FM and KUFX-FM. In Sacramento, Bonneville will operate KYMX-FM, KZZO-FM, KHTK-AM and KNCI-FM. Bonneville will begin operating the stations under a local marketing agreement with the Entercom Divestiture Trust, on completion of the Entercom/CBS merger, and subject to FCC approval and other customary conditions. Bonneville has named Carl Gardner, previously its market manager in Seattle, as its market manager in San Francisco. 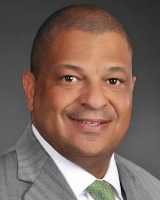 Steve Cottingim will remain as market manager in Sacramento. 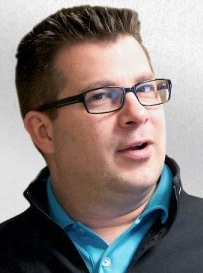 David Pridemore, current Director of Sales at Bonneville Seattle, will replace Carl Gardner as market manager. Bonneville currently owns and operates stations in Salt Lake City, including KSL-TV (NBC), KSL Newsradio, KSFI-FM and KRSP-FM; Seattle, including KIRO-FM, KTTH and 710 ESPN; Phoenix, including KTAR-FM, KMVP-FM and ESPN 620; and Denver, including KOSI-FM, KYGO-FM, KKFN-FM and KEPN-AM. Bonneville International is headquartered in Salt Lake City and is a subsidiary of Deseret Management Corp., a for-profit arm of The Church of Jesus Christ of Latter-day Saints. Deseret Management Corp. oversees hospitality and media companies, including the Deseret News and Deseret Digital Media. 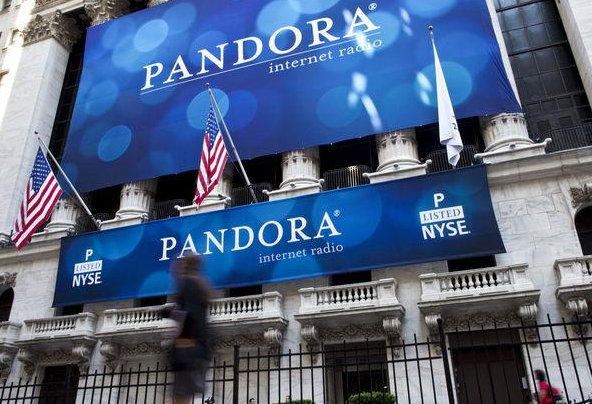 Pandora Media (NYSE:P) has slid 9.3% in postmarket trading after revenues fell just short in Q3 earnings where nice subscriptions growth nonetheless carried a flat advertising business. Net loss widened on a GAAP basis to $66.2M, while EBITDA improved to -$5.3M from a year-ago -$6.6M. Pandora Thursday announced financial results for the third quarter ended September 30, 2017. “We had a solid financial quarter with revenue above our mid-point and adjusted EBITDA coming in very close to the high end of our guidance,” said Naveen Chopra, CFO of Pandora." The growth we experienced in RPMs and subscription revenue indicates that our multi-tier service strategy can continue to enhance monetization in multiple listening modes. We also completed the investment by Sirius XM (SIRI) and the sale of Ticketfly in the quarter, strengthening our balance sheet and bringing cash and short-term investments to nearly $500 million." Revenue: For the third quarter of 2017, total consolidated revenue was $378.6 million, an 8% year-over-year increase. Advertising: Advertising revenue was $275.7 million, a 1% year-over-year increase. Advertising revenue growth incorporates an increase in the average price per ad, offset by a decrease in the number of ads sold. Subscriptions: Total paid subscribers increased from 4.01 million in the third quarter of 2016 to 5.19 million in the third quarter of 2017, growing approximately 29% year-over-year. Subscription and other revenue was $84.4 million, a 50% year-over-year increase. Additionally in October, Pandora Premium surpassed 1 million paid subscribers. Ticketing: Ticketing service revenue was $18.5 million in the third quarter of 2017, a 16% year-over-year decrease. The decline was related to the Ticketfly divestiture closing in the beginning of September, resulting in only two months of ticketing revenue in the third quarter of 2017. Listener Hours: Total listener hours were 5.15 billion for the third quarter of 2017, compared to 5.40 billion for the same period of the prior year. Active Listeners: Active listeners were 73.7 million at the end of the third quarter of 2017. The active listener number excludes approximately 1.1 million active listeners from Australia and New Zealand, following our decision to exit the business in those countries. Urban One, Inc. Thursday reported its results for the quarter ended September 30, 2017. Net revenue was approximately $112.1 million, an increase of 1.1% from the same period in 2016. Broadcast and digital operating income1 was approximately $40.7 million, a decrease of 5.3% from the same period in 2016. The Company reported operating income of approximately $3.5 million for the three months ended September 30, 2017, compared to $24.5 million for the same period in 2016. Net loss was approximately $7.9 million or $0.17 per share (basic) compared to net loss of $423,000 or $0.01 per share (basic) for the same period in 2016. Alfred C. Liggins III, Urban One's CEO and President stated, "Our radio segment core revenues have stabilized, and for the third quarter we outperformed our markets by 130 basis points according to Miller Kaplan data. "Of our four largest clusters, Atlanta, Baltimore and Houston all outperformed their respective markets. For the fourth quarter, radio division core revenues are pacing up approximately 1.0%, which excludes the impact of political advertising revenues. 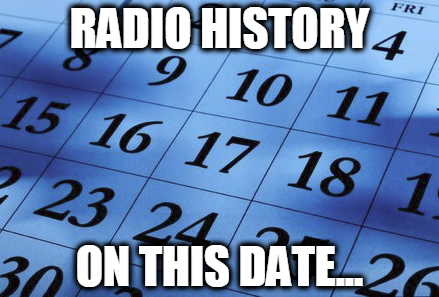 The radio bottom line was adversely impacted by higher royalty expenses, which was the result of a favorable true-up in the prior year plus the additional expense associated with Global Music Rights. Our digital revenues were boosted by the integration of BHM, which produced positive Adjusted EBITDA of approximately $0.5 million in the quarter. "Cable TV advertising revenues continued to be impacted by soft ratings, although there was a significant sequential improvement from Q2, as total day and prime household ratings were up 3.0% and 7.8%, respectively, while total day and prime Persons 25-54 demographic ratings were up 11.4% and 20.4%, respectively, against the second quarter. "Our MGM investment produced approximately $1.5 million of Adjusted EBITDA, and is performing in line with expectations. During the quarter we repurchased $20.0 million of our 2020 Notes, which re-affirms our commitment to de-leveraging the Company over time." 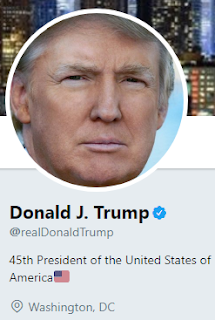 President Donald Trump’s @realdonaldtrump Twitter account was deactivated by a Twitter Inc employee who was leaving the company on Thursday and was down for 11 minutes before it was restored, the social media company said. “We have learned that this was done by a Twitter customer-support employee who did this on the employee’s last day. We are conducting a full internal review,” Twitter said in a tweet. A Twitter representative declined to comment further, according to Reuters. 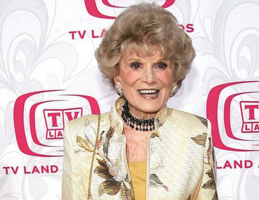 TV News Execs Wondering: Who's Next?